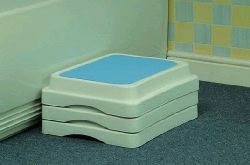 Bath Step With Large Textured Surface For Added Safety. 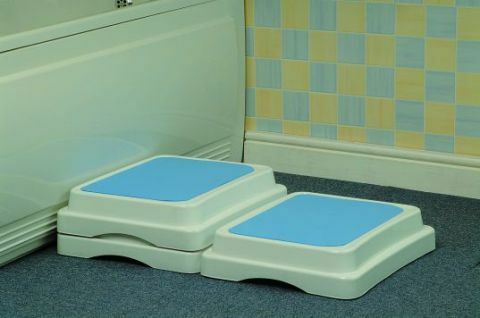 Supplied as a single step with a 100mm (4") raise, the modularity of the Savanah Bath Step allows it to be stacked on top of each other or clipped together to give a larger area or create a small stair. 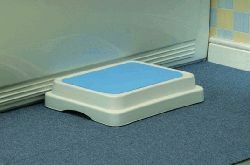 Each additional step adds an extra 50mm (2") to the height of the step, up to a maximum of six steps, (giving a 355mm (14") raise). Excellent bath step. Exactly what I needed to get in and out of the shower safely. Very good delivery service too. Top marks all round.